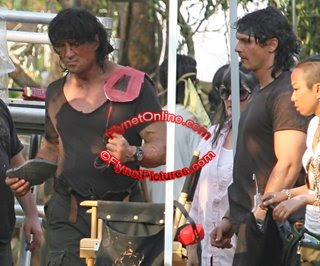 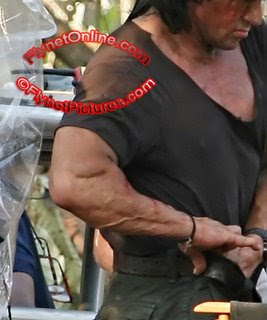 Everybody's favorite Vietnam Vet John Rambo comes out of exile for one last mission in Rambo 4 shooting in Thailand. 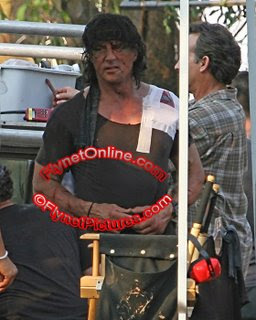 Sly Stallone looks like he 'juiced up' one last time as well even though Aussie authorities confiscated most of his Human Growth Hormone supply in Sydney- wonder where he hid them? 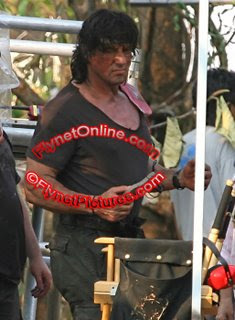 After the success of 'Rocky Balboa' Stallone has decided to resurrect the 'Rambo' franchise as well..